Mobile sites are designed to provide an optimal user experience for visitors accessing the web through their mobile devices. Today, we can develop mobile sites using several different mobile web application frameworks. 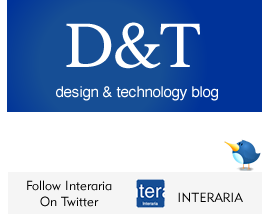 Interaria recommends considering the following options for mobile site development. jQuery Mobile is an HTML5 based web application framework for smartphones and tablets based on jQuery and jQuery UI. jQuery Mobile supports a very extensive range of devices and provides a seamless method for extending existing applications to mobile and tablet that were originally built to run inside the desktop browser. The key benefits for choosing jQuery Mobile for web application development are: jQuery Mobile is open source / free and has a large global development community behind it, supporting it and actively pushing it forward. Mobile applications developed with HTML5 utilizing responsive user interface design focus on adjusting the presentation of web media content for mobile device use. A strong well planned out CSS rules and coding is the key for successfully implementing the responsive design method. According to set CSS rules, the display of the applications’s content layout and components may be programmed to auto-reformat for display mobile differently than on tablet or desktop. An example of responsive web design would be for a layout that displays four columns of content in a ‘landscape’ view on tablet devises, but when in ‘portrait’ view, would auto-shift to show only two columns of content instead of 4. Further, then when the same content is viewed on a mobile devices, the content would shift to slim down further to show only one column of content. Responsive UI Design is not a mobile web application framework but rather a method for allowing well planned and coded HTML5 content to display differently on desktop, table and mobile. The decision of which mobile development framework to choose is determined by several criteria such as the mobile site’s navigation structure, amount of custom content provided for mobile users only, requirements for the design and content to adjust for different screen sizes and resolutions, the amount of custom coding required to launch your new mobile web app, and the amount of coding and development that has already taken place. Contact us to determine which mobile web application framework provides the most optimal platform for developing an engaging mobile media presence for your company.